The Davey CrystalClear cartridge filter has been specially designed for the swimming pool owner who is after clean water without the higher cost of backwashing. The range on offer suits small to medium sized swimming pools and designed for easy installation and maintenance. 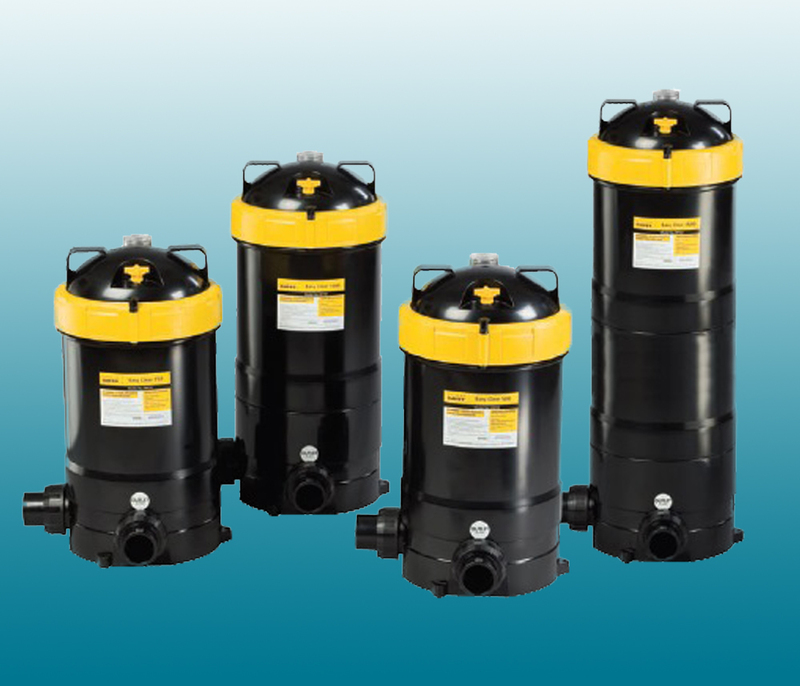 Supplied with pressure gauge to identify when cleaning is required, the Davey Crystal Clear cartridge filter range is perfect for low flow pumping and for use with the Davey PowerMaster ECO and Silensor ECO swimming pool pumps. A cost effective and reliable way to save time and money when keeping your pool water clean and clear. No need to backwash, the EcoPure cartridge filters require only cartridge filter cleaning via an easy access lid. Monitor your cartridge filter purity with the easy to read pressure gauge.